14-15 known. 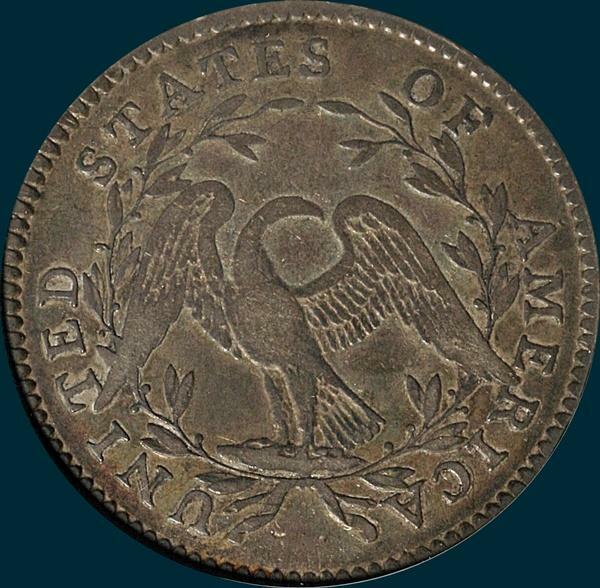 The finest that has appeared in recent times is just a lowly NGC graded VF35. If there is one finer, it has been hidden away in a collection for a very long time (there appears to be an XF out there someplace). The most recent appearance was from the Hilt collection which had just VG details with obverse graffiti. A true rarity! Variety Attribution: Obverse-Star 1 pierces lowest curl near center. Point of star 2 and second curl are close, about 1/4 mm.. Point of star 15 joins lower edge of bust. Date is 8 mm., slender, evenly spaced and well centered. There is a die crack from edge through star 7 and into the field. 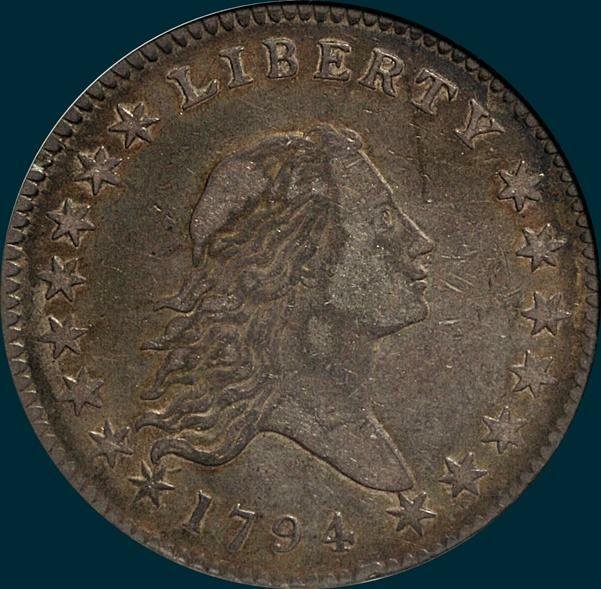 Reverse-17 berries, 9 left and 8 right, the only such reverse in 1794. A in AMERICA are recut. Base of leaf attached to I and points to right half. R attached to right wing tip and T attached to left wing tip.